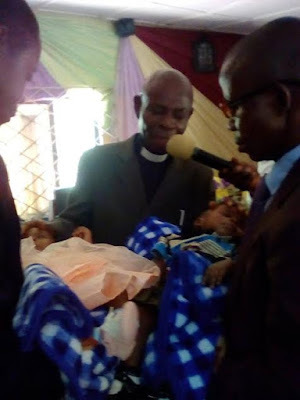 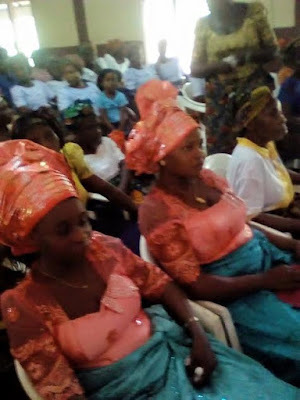 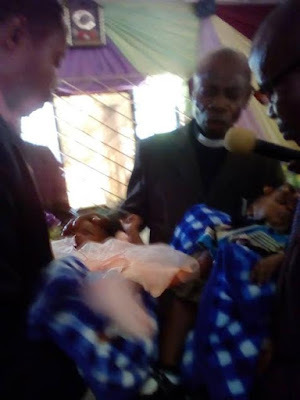 Twin sisters who were impregnated by the same man in Akwa Ibom have dedicated their children in church. 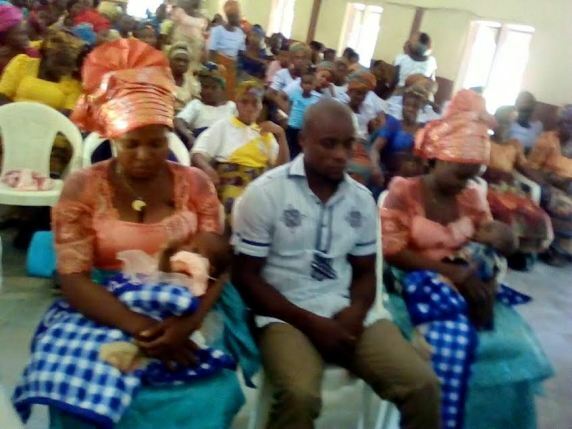 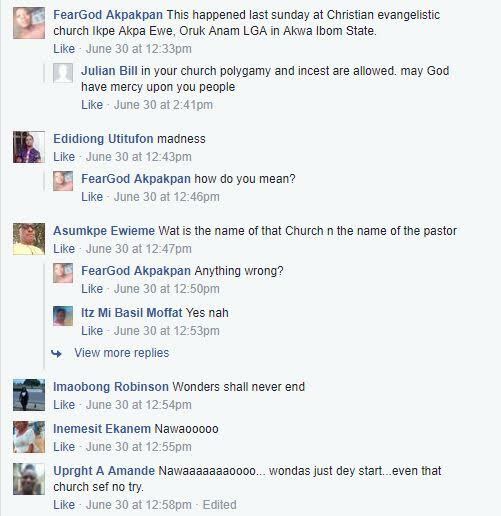 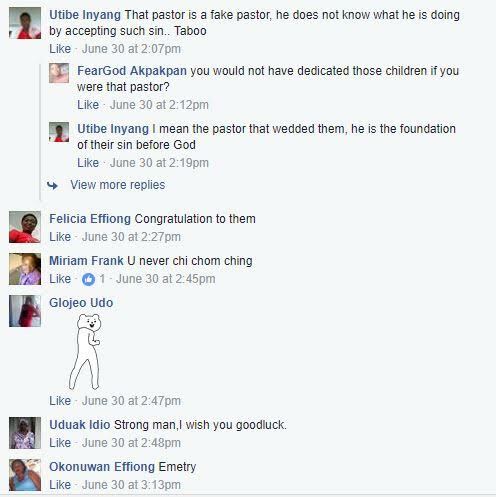 According to a Facebook user, FearGod Akpakpan, who posted the story in a Facebook group (Sitippe Akwa Ibom), he said the dedication took place on Sunday, June 25, at Christian evangelistic church Ikpe Akpa Ewe, Oruk Anam LGA in Akwa Ibom State. 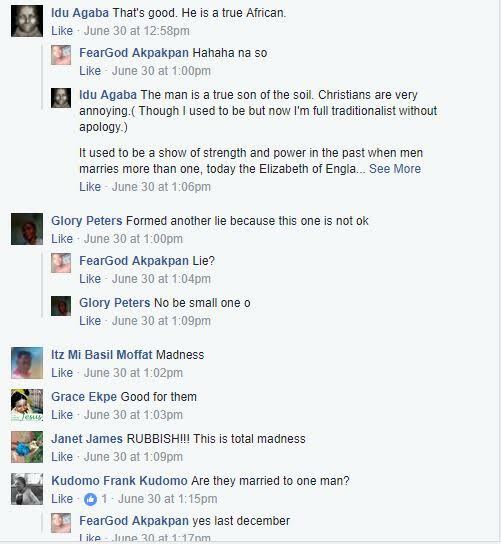 The post, however, has caused an outrage as members of the group are accusing the church of promoting polygamy while others celebrating the man and his family. 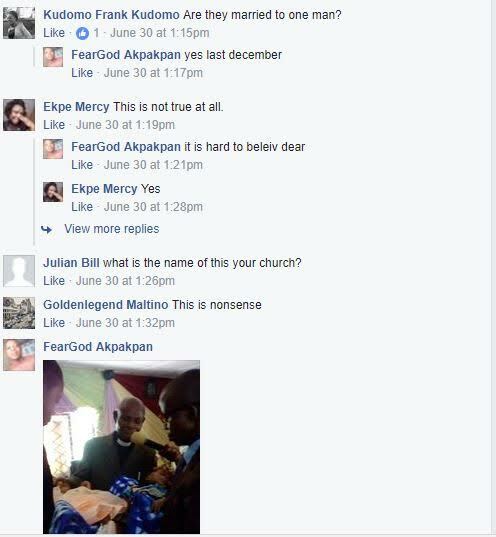 See more photos and reaction from people after the cut..